Well placed for those wishing to take time out and explore some interesting Belgian attractions close by, Brussels lends itself to an array of day trips and popular excursions. Lying to the north of Brussels and around 56 km / 35 miles from the city centre, Antwerp is one of the most visited neighbouring cities and is famous for its past diamond industry and endless historical attractions. The Foret de Soignes is an extremely important green space and the biggest of its kind within the Brussels area, being actually owned by the Belgian state. 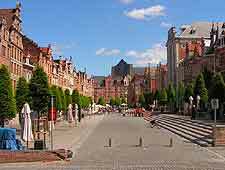 Many tourists also choose to enjoy a day trip to the towns of both Tervuren and Leuven, a truly ancient town steeped in medieval history and once a leading centre of cloth trading. 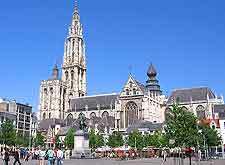 Today, Antwerp is home to a truly mixed bag of sights, with endless historic landmarks, such as the spectacular Gothic-style Cathedral of Our Lady, and the 17th-century Rockoxhuis mansion. 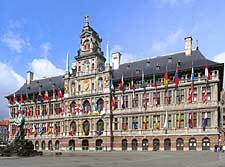 Many of the main attractions reside around the squares of the Groenplaats and the Grote Markt, such as the Town Hall (Stadhuis). A popular way to sightsee in Antwerp is to take a boat trip along its River Schedlt, or around the city's vast port itself. Families should look out for Antwerp Zoo, the indoor playground of Pirate's Island (Pirateneiland), and the Aquatopia Aquarium. 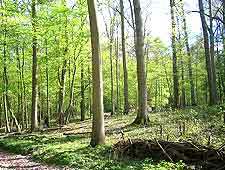 Lying to the south-east of Brussels, the Foret de Soignes is a large expanse of green forest, covering an area of approximately 10,600 acres / 4,290 hectares. Brimming with wildlife, including large numbers of deer and boar, the Foret de Soignes boasts a rather unusual and unexpected attraction. Each summer, old trams once operated within the city itself trundle through the forest, transporting passengers through its main arboretums. 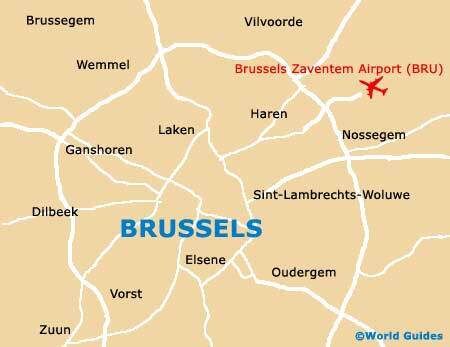 Within easy reach of Brussels, at a distance of around 32 km / 20 miles, Leuven lies directly east and is the main town within the Vlaams-Brabant province. The majority of the attractions in Leuven are based around its compact town centre and are therefore best explored on foot, particularly around the Grote Markt and Oude Markt squares, which fill with drinking terraces during the summer evenings. Look out for the ornate 15th-century town hall (Stadhuis), the gothic-style St. Peters Church (St. Pieterskerk) and the Katholieke Universiteit van Leuven (KUL), a large university campus founded in 1425 and today home to over 30,000 students. A pretty Flemish-speaking town some 14 km / 9 miles to the east of central Brussels, most tourists visit Tervuren for its main attraction, the Royal Museum of Central Africa (Koninklijk Museum voor Midden Afrika). Here you will discover a huge number of historic artefacts from around the Congo. Centred around a single courtyard, the museum features everything from African sculptures and ornate jewellery, to an enormous canoe (pirogue) measuring over 20 metres / 66 feet. The Royal Museum of Central Africa is open from Tuesday to Sunday, between the hours of 10:00 to 17:00. 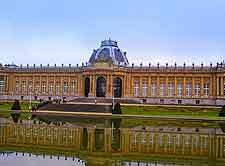 Other attractions within the town include the Park van Tervuren, which actually backs directly on to the museum itself and features lakes, lawns, woodlands and a series of long pathways.